This vacation home with a south facing private pool is situated in the community of Oak Island Cove. 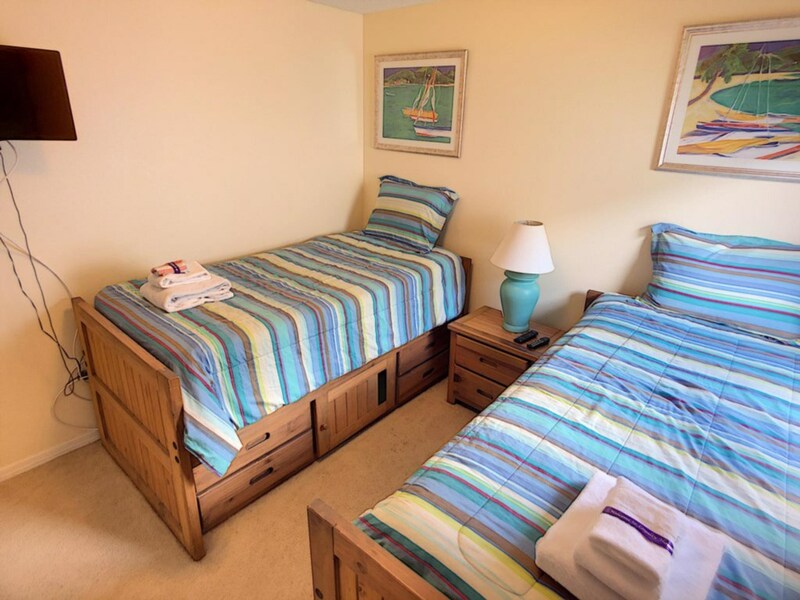 A peaceful and conveniently located community for vacationers as it is in such a close proximity to the Disney World Resort. The pool home is spread over one level and comprises of 4 bedrooms and 3 bathrooms, it has capacity to accommodate up to 8 people. The home boasts two master bedrooms each with their own private en suite bathroom, and one of these has direct access to the pool area. Every bedroom benefits from having their own television so that guests can retreat to their own private space and unwind. The open plan family room offers a nice space in which to get together, it features an area with comfortable sofas and a fitted kitchen with a breakfast bar. The kitchen is fully equipped with everyday modern appliances and utensils, everything that you will need to prepare meals. For your entertainment the home has a games room with a pool table for everyone to enjoy, guests also benefit from complimentary high speed WiFi. Outside is where this home shines, it has a beautiful south facing private pool and spa with lovely views over a lake. It has a nice sized pool deck with sun loungers and a covered lanai with chairs and a table for al fresco dining. It is a peaceful and tranquil environment, perfect for the whole family to enjoy quality time outdoors in the warm climate. La comodidad y confort realmente un hogar fuera de casa no te falta nada! !